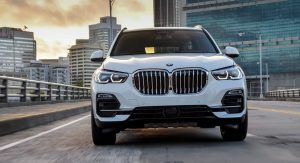 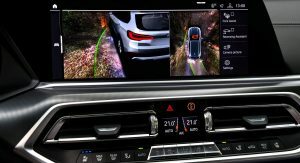 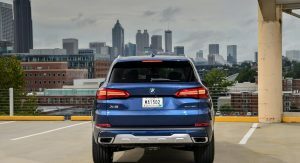 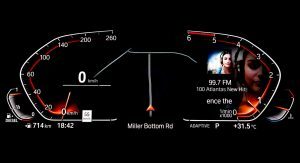 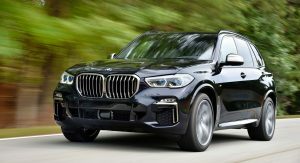 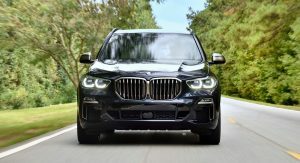 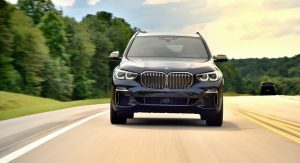 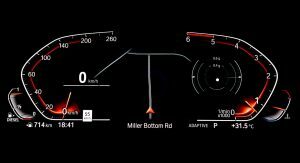 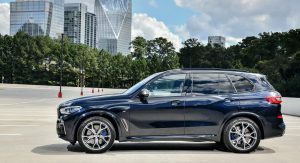 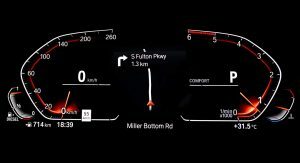 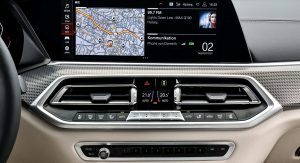 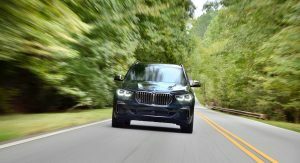 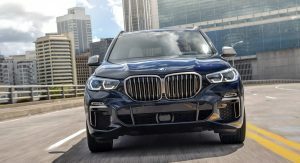 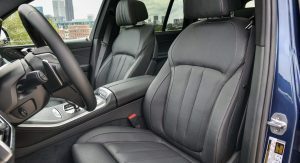 By now, chances are you know all there is to know about the all-new BMW X5. 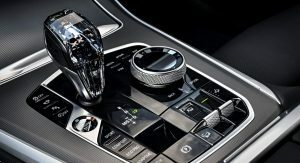 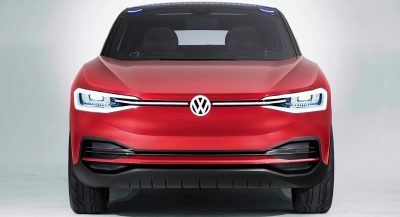 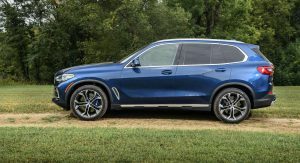 But have you seen all there is to see of the new luxury SUV? 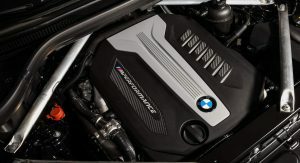 Just in case you haven’t, BMW has got you covered. 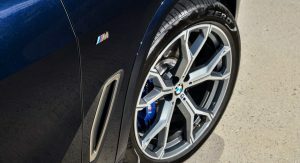 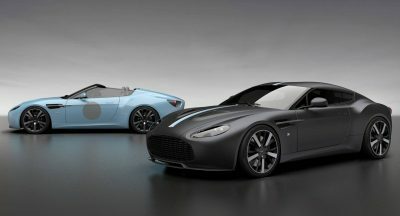 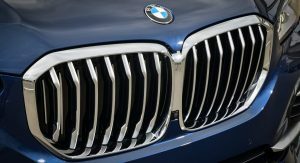 The automaker has just released a mega photo gallery containing no fewer than 335 photos. 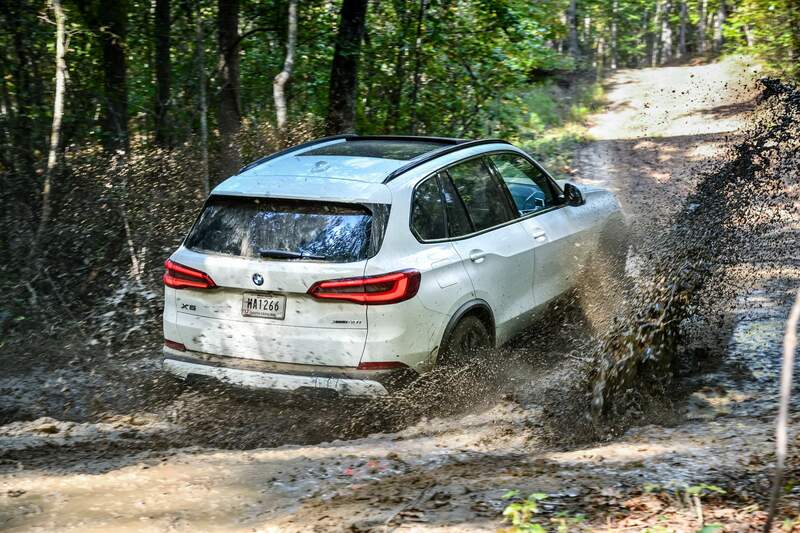 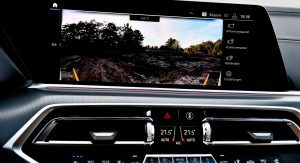 It’s safe to say no area of the 2019 X5 has been left unexplored. 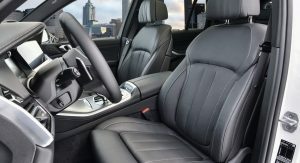 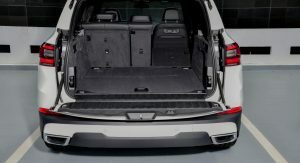 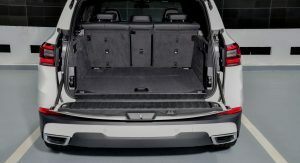 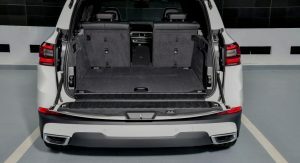 Whether we’re talking about the exterior, interior, or the array of features the SUV offers, it’s all there. 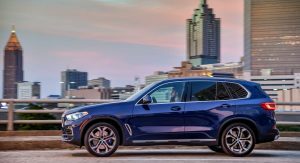 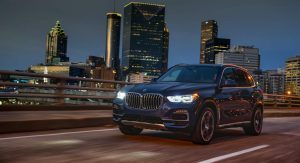 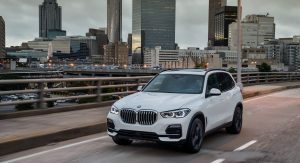 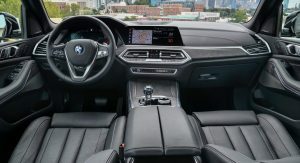 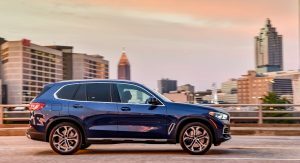 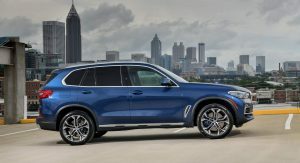 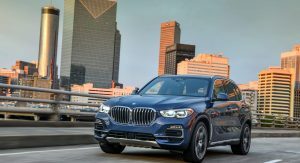 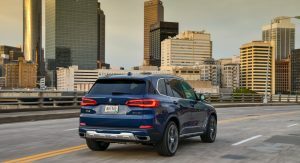 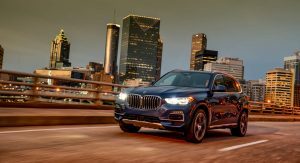 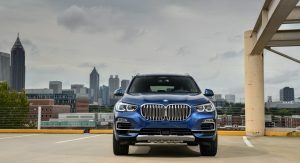 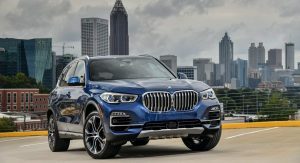 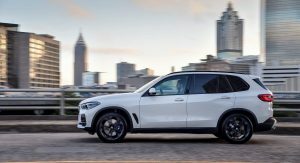 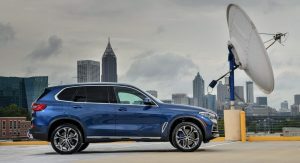 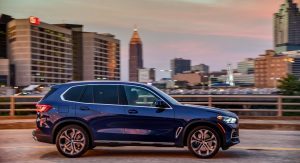 All the photos have been taken during the 2019 X5 International Media Launch that took place in Atlanta, Georgia. 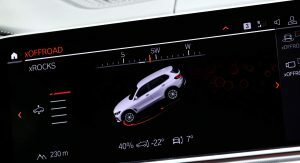 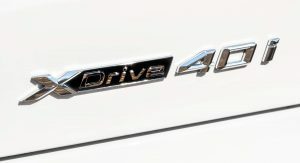 The models featured in the gallery are the xDrive 40i (including in xLine package), xDrive30d and M50d. 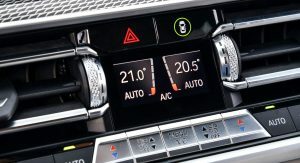 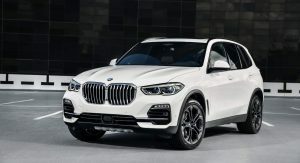 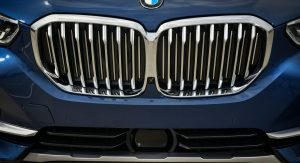 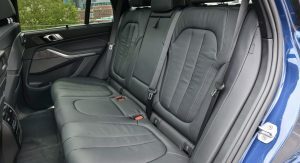 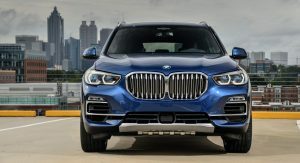 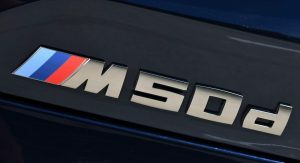 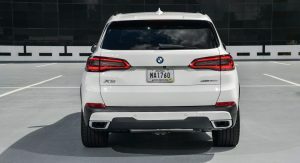 This allows us to spot the differences between the various X5 models: the base trim level, the xLine, and the M Sport. 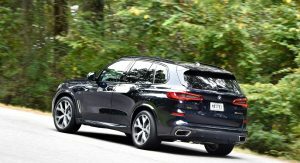 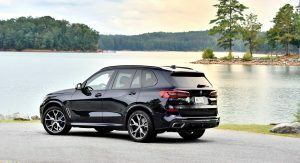 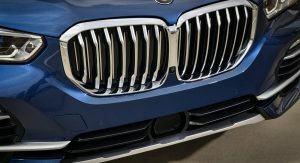 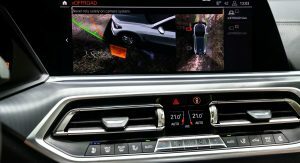 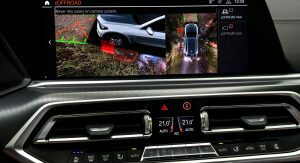 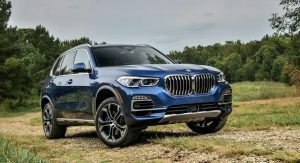 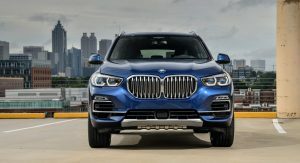 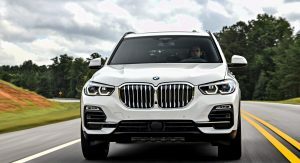 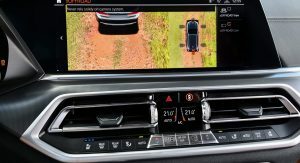 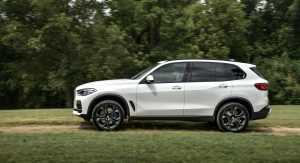 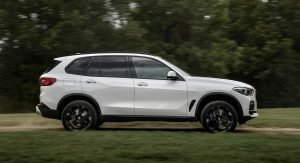 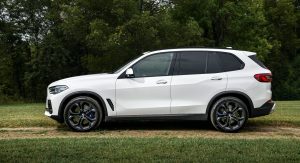 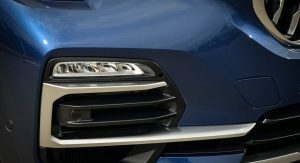 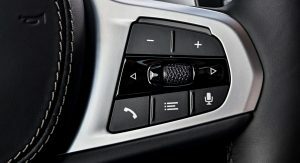 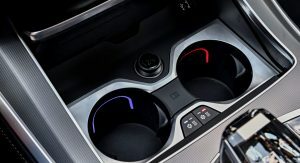 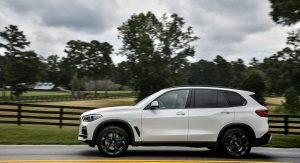 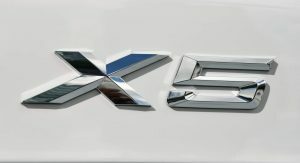 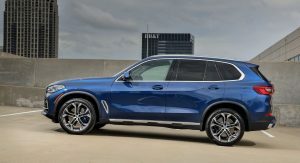 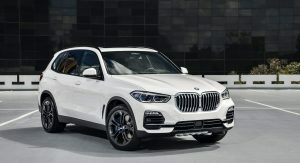 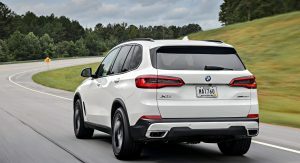 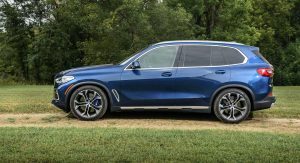 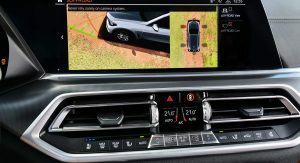 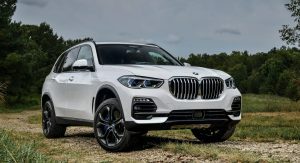 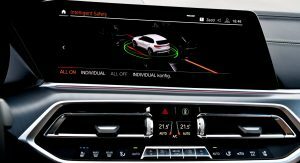 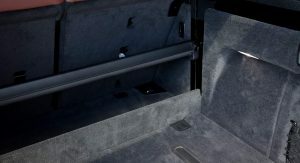 Even though there are so many photos with the 2019 X5, two models are missing from the gallery. 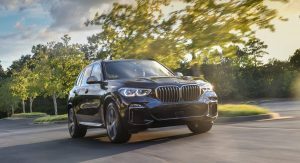 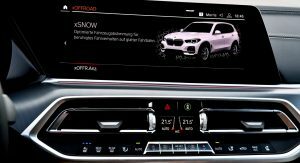 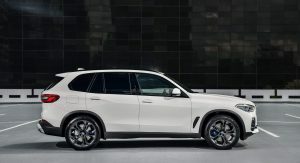 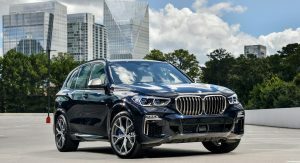 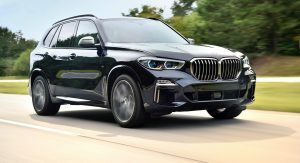 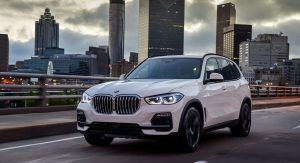 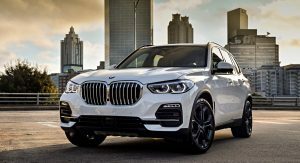 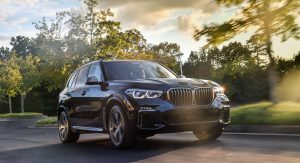 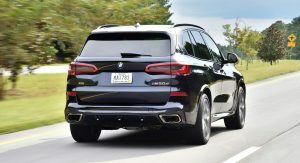 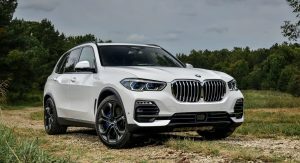 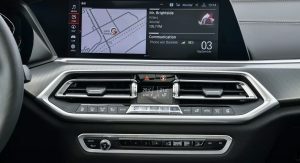 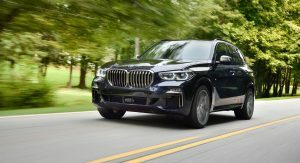 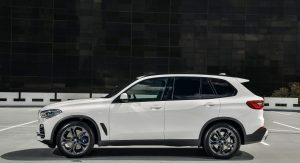 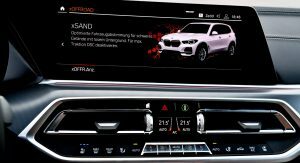 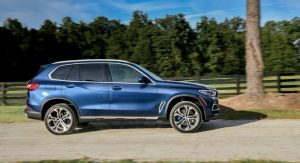 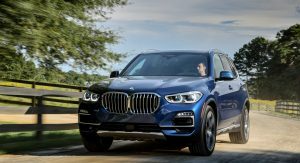 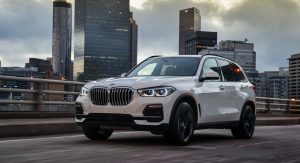 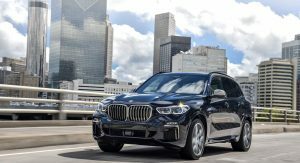 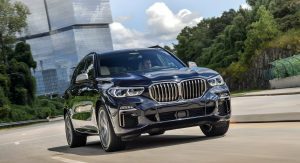 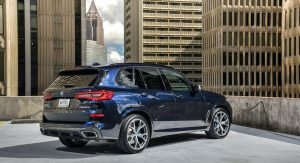 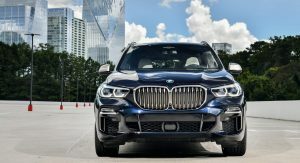 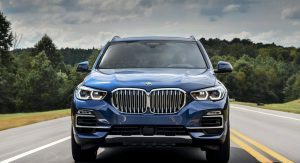 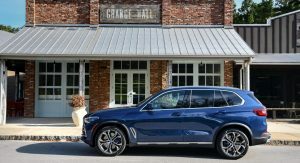 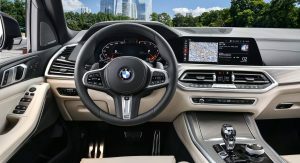 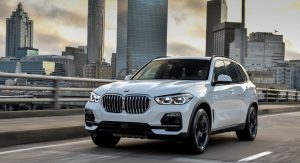 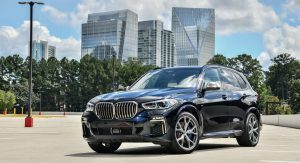 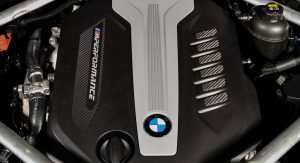 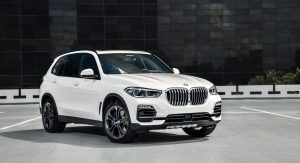 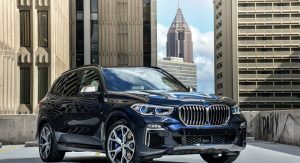 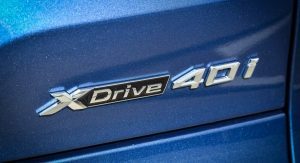 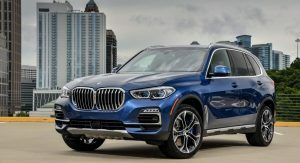 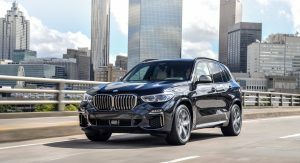 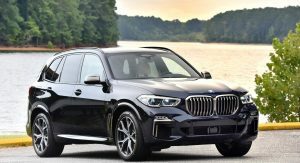 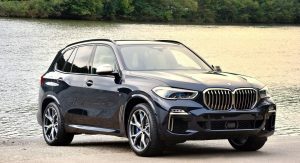 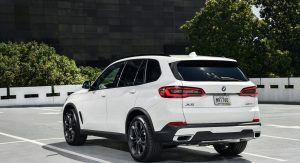 The X5 xDrive45e iPerformance plug-in hybrid won’t launch until next year in Europe and wasn’t present at the media drive event. 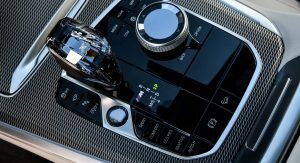 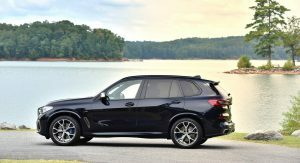 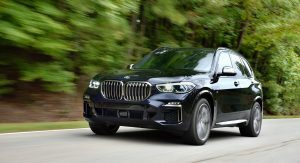 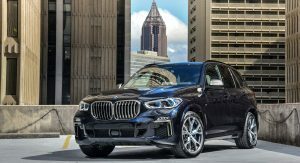 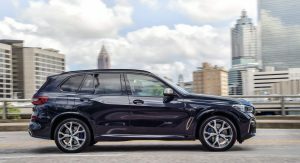 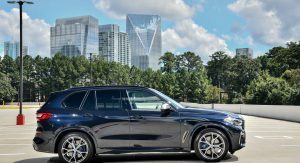 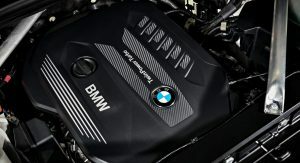 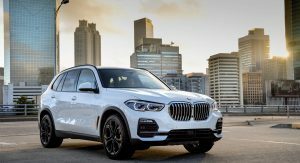 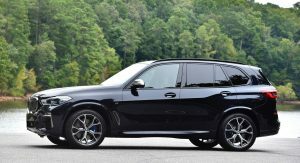 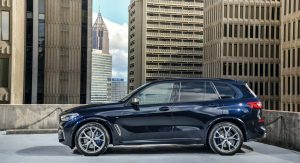 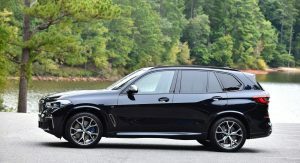 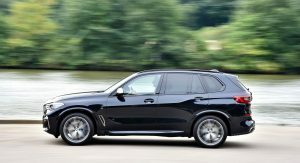 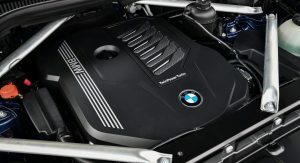 The V8-powered X5 xDrive50i isn’t featured either, even though it’s the range-topping model in the United States. 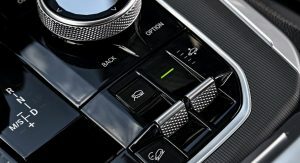 It won’t be available in Europe, though. 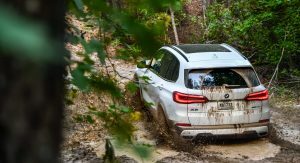 Anyway, what caught our eye in the gallery is the number of photos showing the X5 off-road. 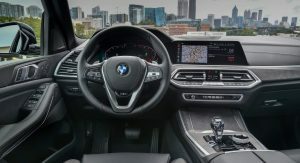 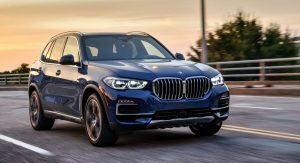 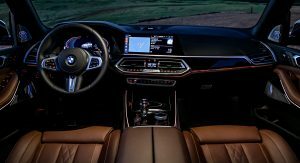 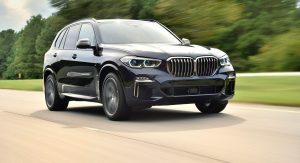 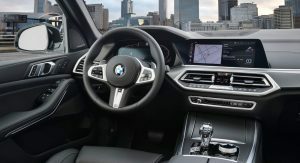 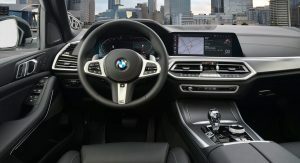 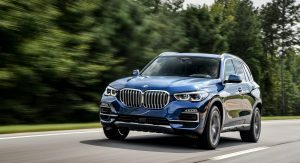 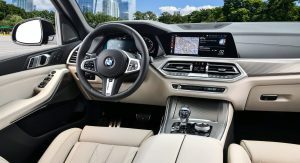 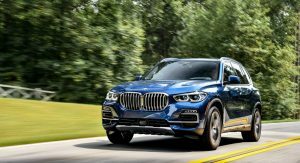 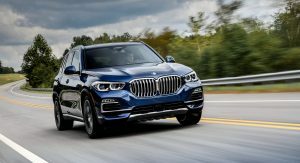 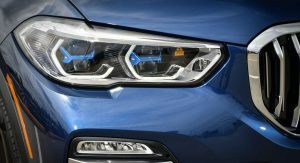 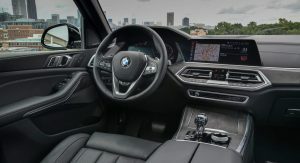 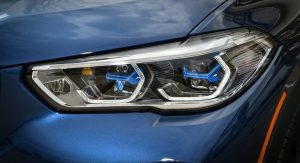 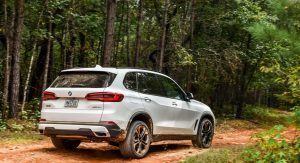 BMW is adamant that the fourth-generation model is much better than its predecessor off the beaten track, and it certainly looks like it. 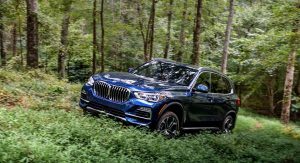 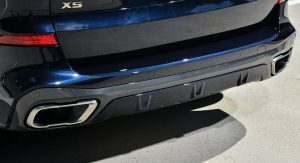 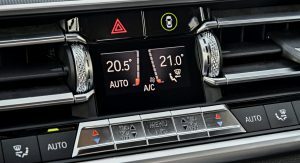 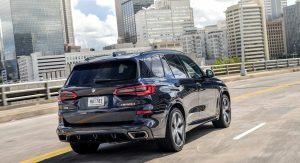 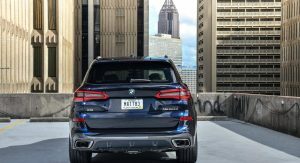 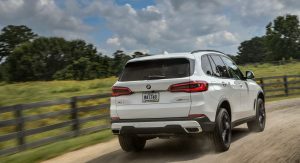 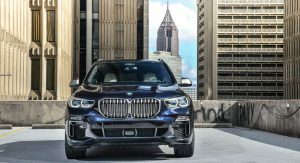 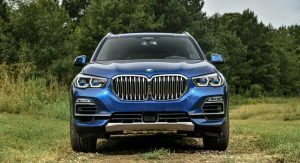 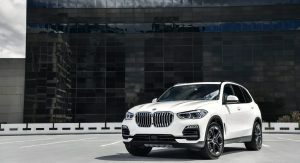 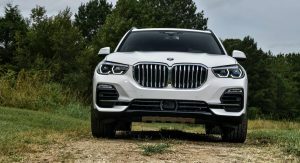 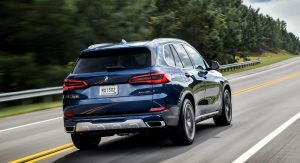 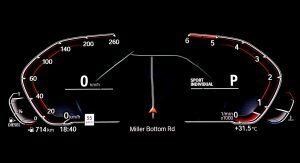 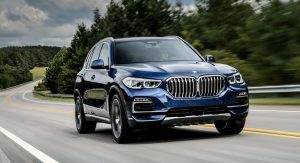 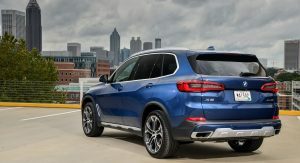 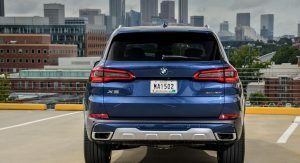 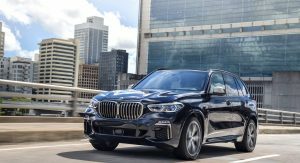 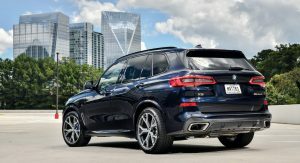 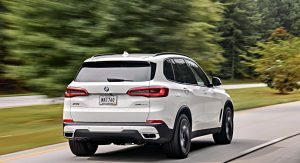 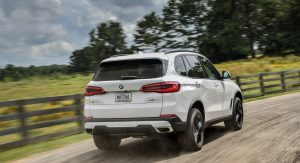 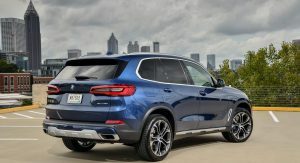 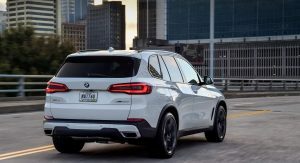 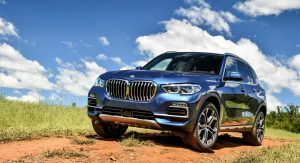 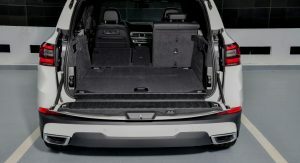 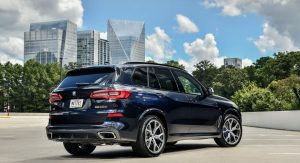 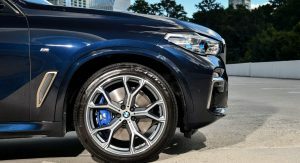 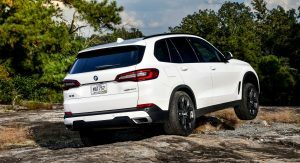 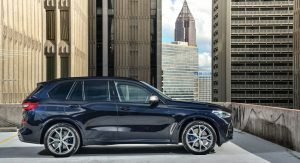 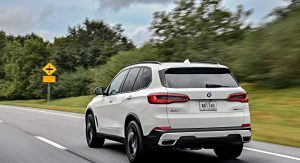 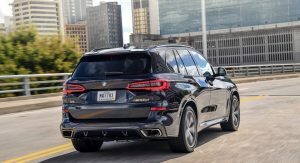 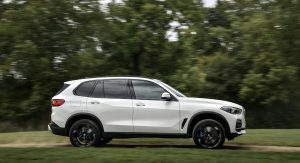 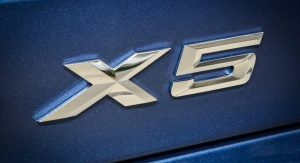 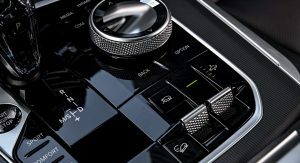 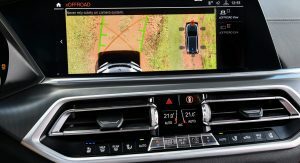 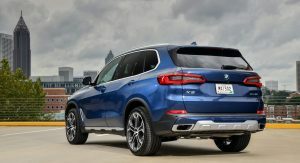 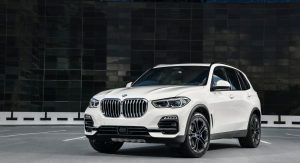 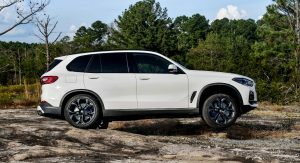 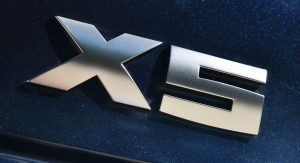 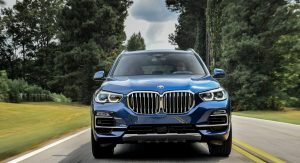 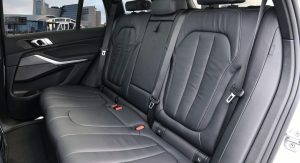 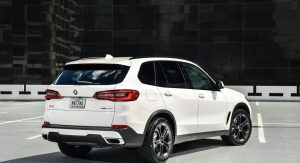 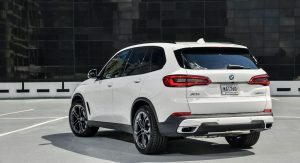 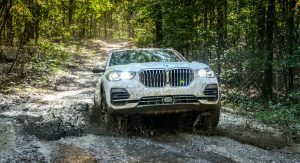 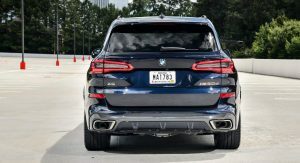 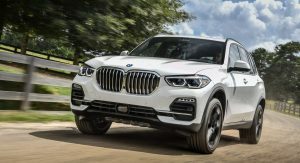 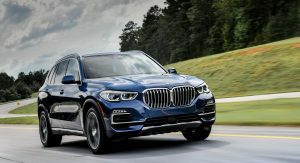 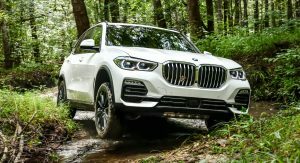 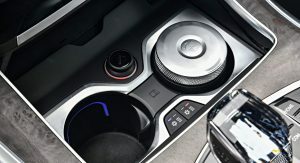 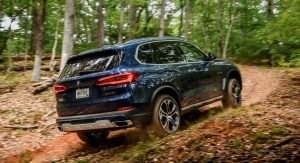 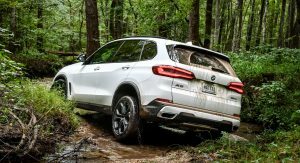 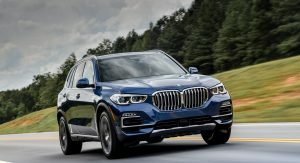 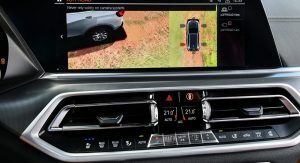 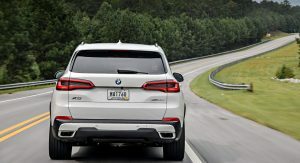 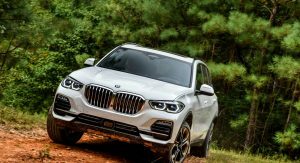 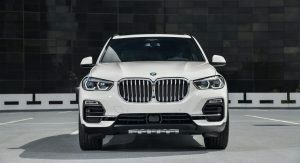 The 2019 X5 owes that to a host of chassis systems including a two-axle air suspension that varies ride height by up to 80 mm (3.15 in) and Integral Active Steering. 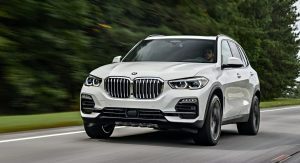 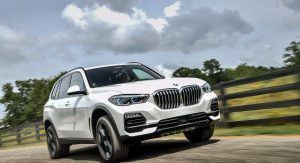 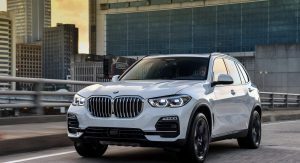 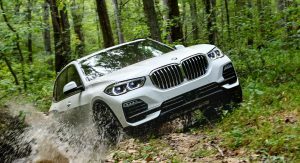 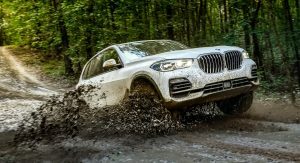 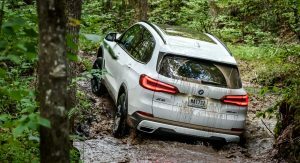 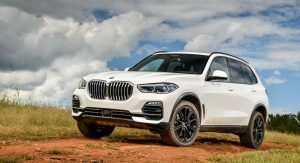 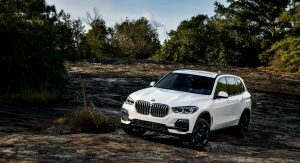 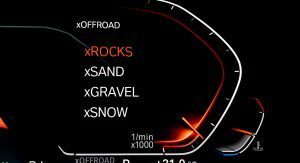 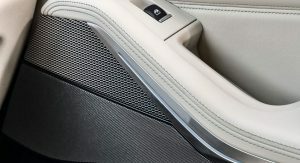 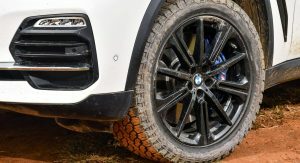 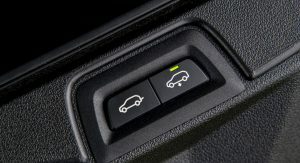 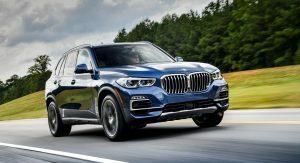 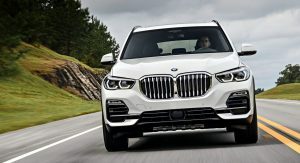 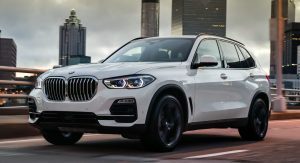 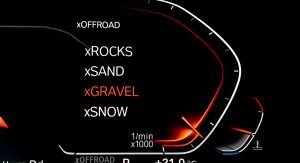 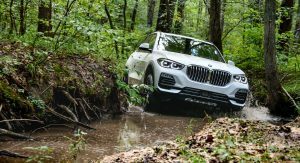 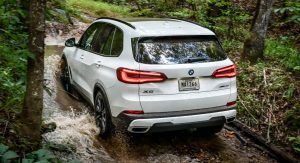 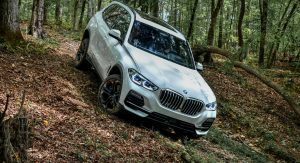 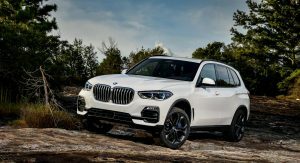 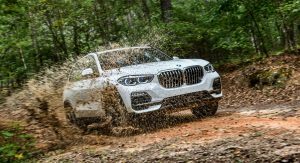 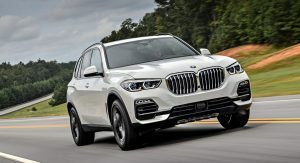 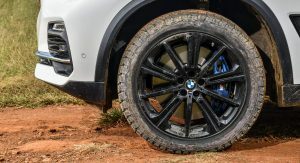 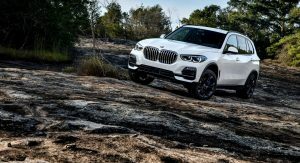 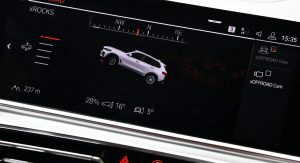 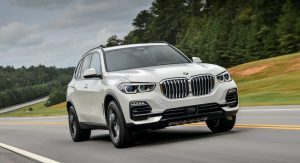 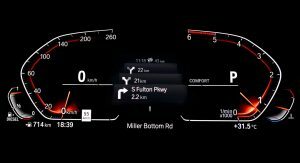 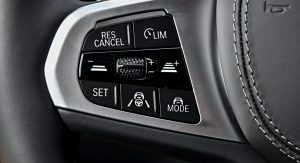 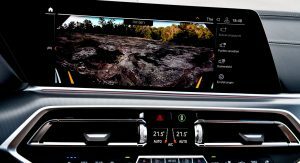 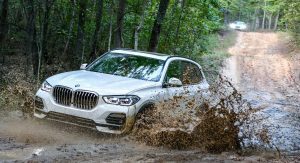 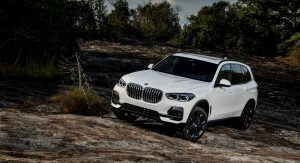 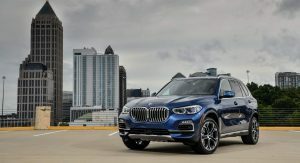 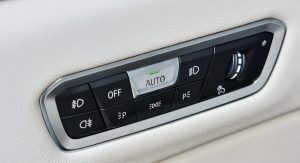 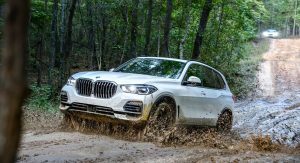 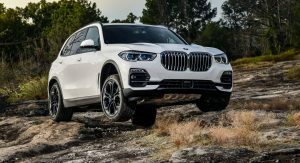 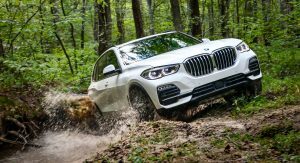 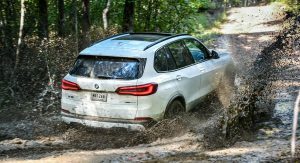 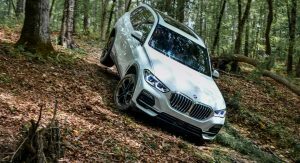 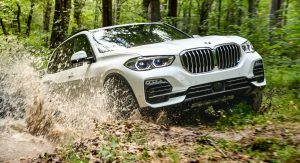 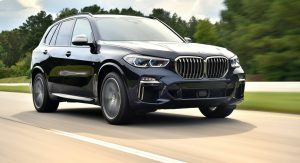 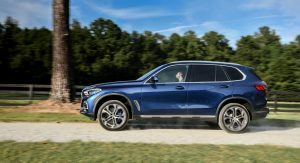 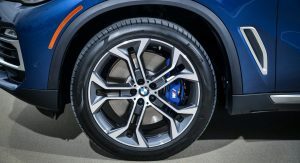 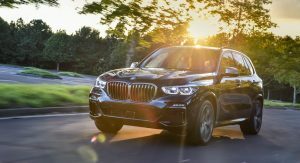 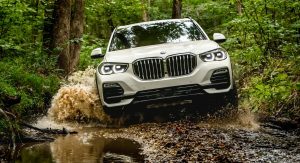 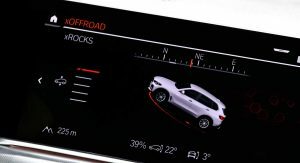 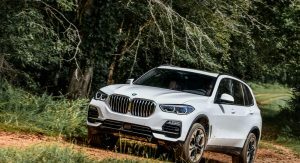 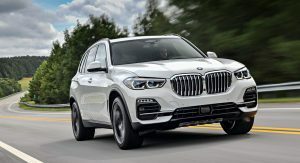 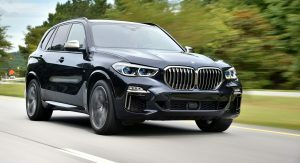 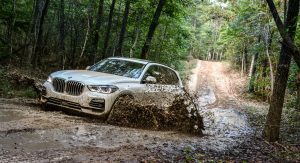 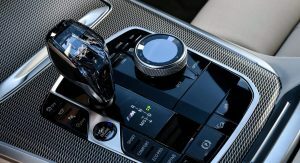 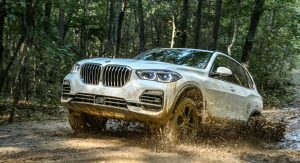 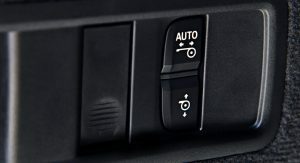 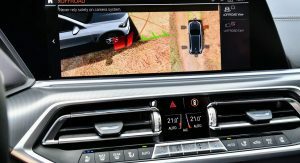 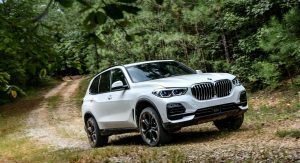 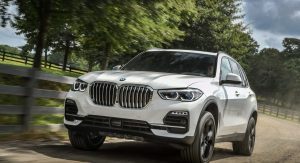 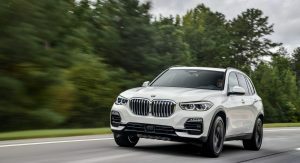 Plus, for the first time on a BMW X model, customers can order an Off-Road package that activates the ideal settings for driving on sand, rock, gravel or snow. 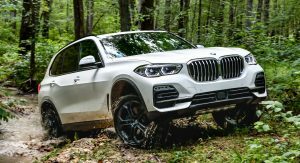 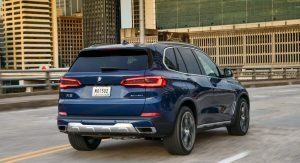 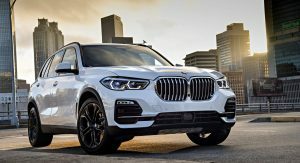 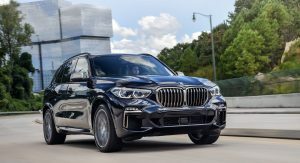 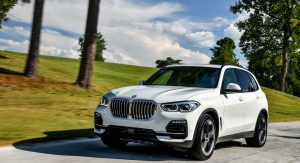 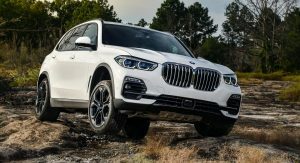 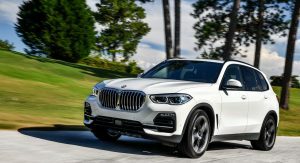 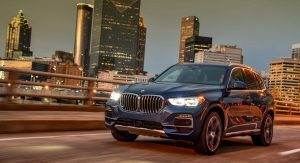 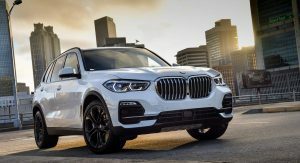 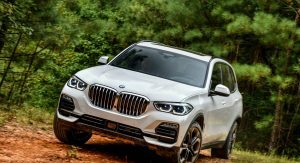 BMW will start worldwide deliveries of the 2019 X5 in November. 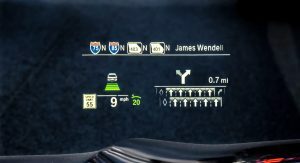 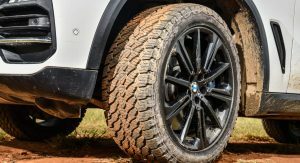 What’s up with the offroad tires on some images? 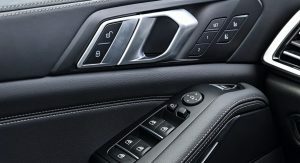 Is that offered as an option from the factory? 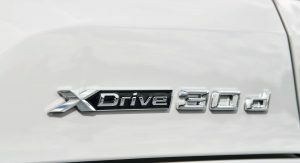 Source? 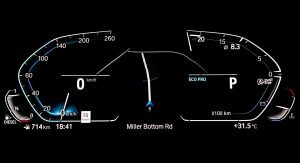 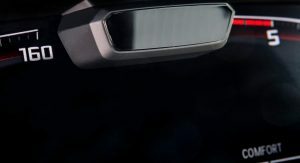 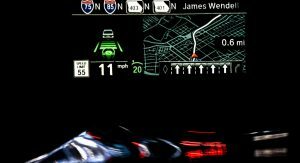 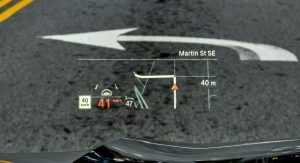 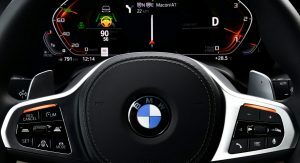 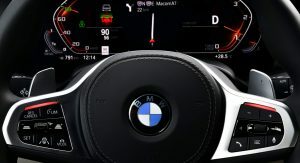 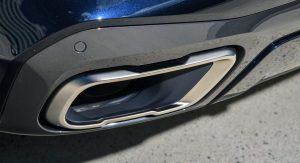 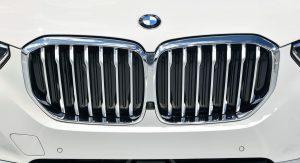 No mention of Lidar in the BMW press release, are you confusing it with laser (head)lights? 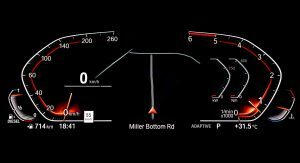 – keeping a distance is done just fine by a radar alone. 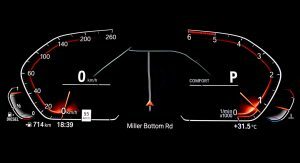 – keeping in lane just needs a camera. 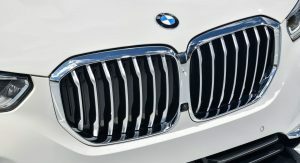 BMW did a fantastic job. 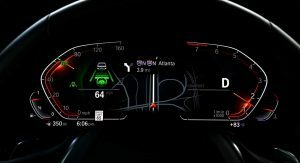 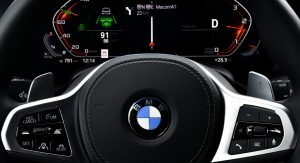 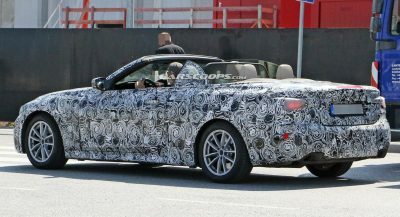 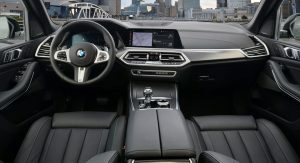 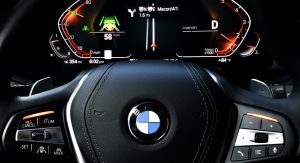 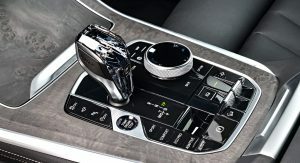 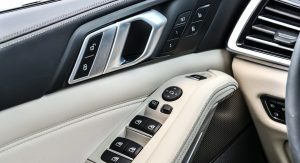 The interior is a massive leap forward from past BMW interiors. 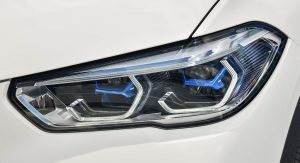 Kia is copying BMW, BMW is copying Kia – the circle is complete. 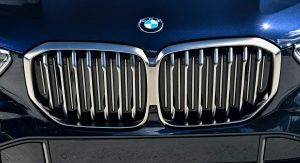 LATELY LOOKING AT BMW’S NEW OFFERINGS I LONG FOR THE DAYS OF CHRIS BANGLE. 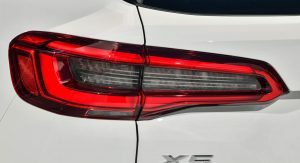 THIS IS INELEGANT AT BEST. 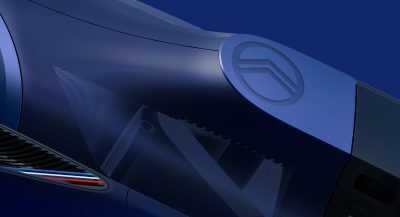 This turned better than i was expected. 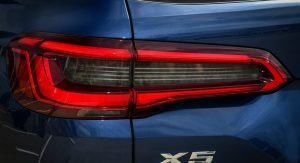 minus the tail lights. 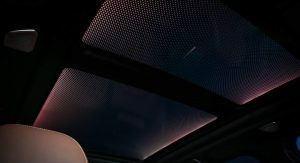 The interior lighting really isn’t ambient anymore. 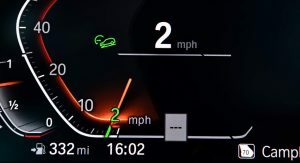 It’s just a tacky light show to appeal to today’s discerning customer. 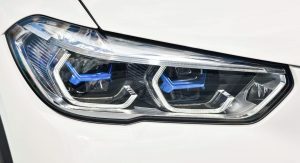 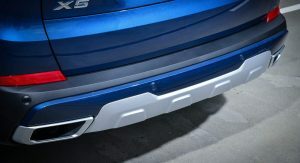 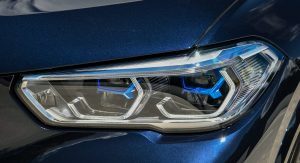 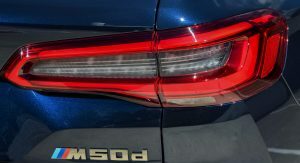 And it appears that MB and now BMW seem to be cornering the market on deep ice blue LEDs. 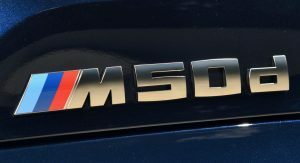 Sushi restaurants across the world are envious. 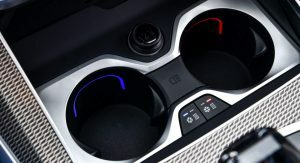 Dont like? 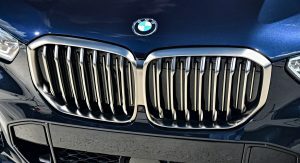 Dont use it, grandpa. 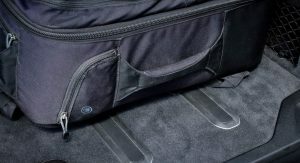 No I don’t like, but my grandpa does, Vader.